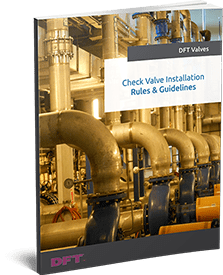 DFT®'s silent check valves are known around the world as the valve to use for preventing or eliminating Water Hammer problems. 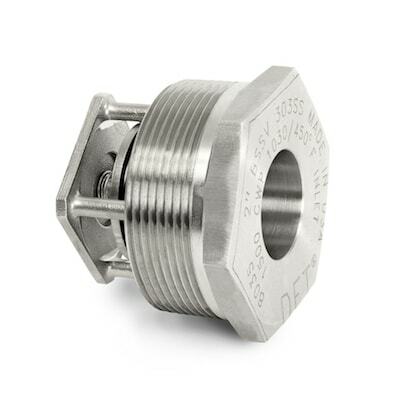 DFT® offers a number of threaded valve options, including our Basic-Check®, Restrictor Check (RCV), SCV®, SCV-R®, and Vacuum Breaker models. 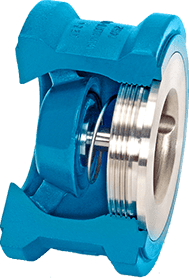 The Restrictor Check Valve ( RCV) is a spring-assisted, non-slam valve used for applications demanding higher cracking pressures. 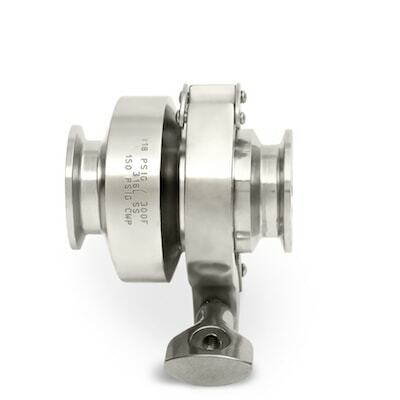 Vacuum Breaker check valves protect against the collapse of pressure vessels, tanks, and rolls while preventing condensate backup when the system is off or the pressure is reduced. 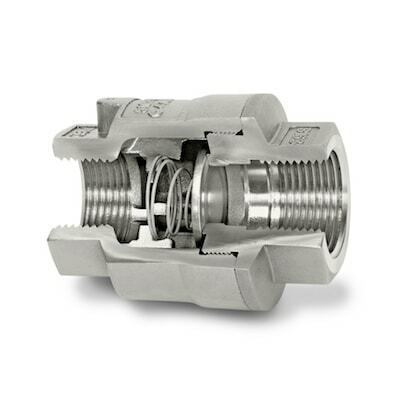 The DSV® sanitary check valves meet 3A standard 58-01and are used in industries with strict hygiene codes. Available in both vertical and horizontal models. 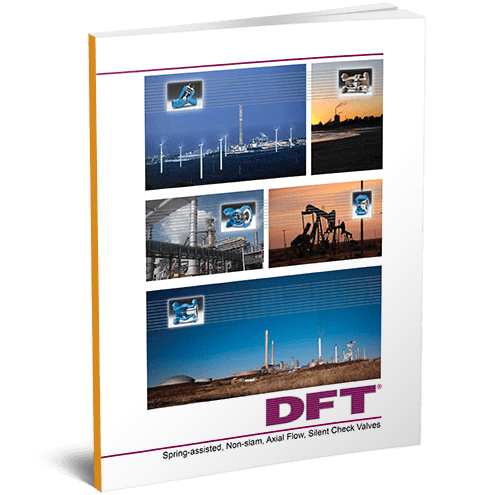 DFT®’s wafer options include ALC®, FBC®, TLW®, WLC®, and WLC® – CAST IRON check valves. 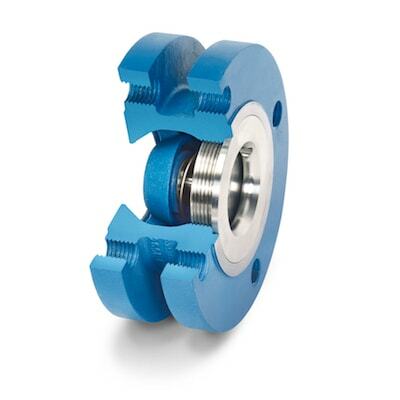 DFT® flanged options include DLC®, Excalibur®, GLC®, GLC® – CAST IRON, and PDC® check valves. 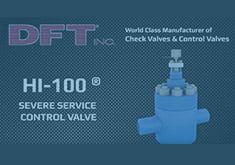 DFT® options include Excalibur®, Y-Calibur® , and BNC™ Check Valves. DFT® models Excalibur® and GLC® are available in Nickel-Aluminum Bronze to withstand the harsh environments of salt and brackish water applications where corrosion resistance and marine life deterrents are needed. 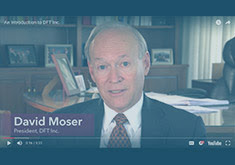 Find out more on what makes DFT® the check valve to prevent or eliminate water hammer. 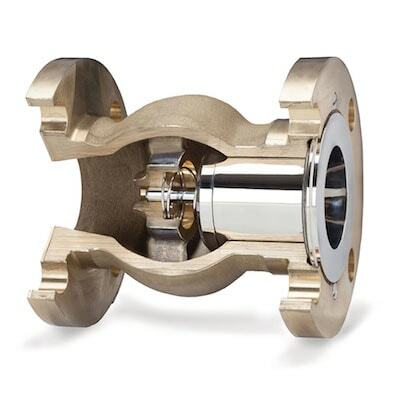 Our company is known as the Check Valve Doctor™, and for good reason: We specialize in preventing check valve problems and failures, including those caused by water hammer. 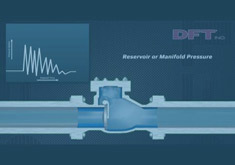 DFT®’s in-line, spring-assisted check valves are specially designed to prevent water hammer and reverse flow. 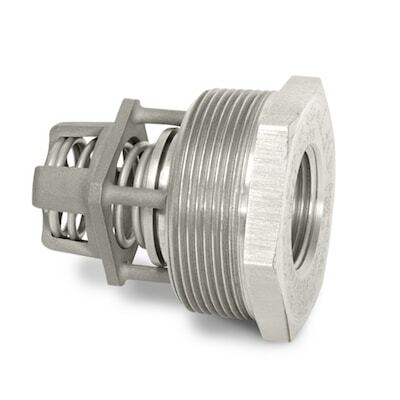 And since we offer custom sizing options, we can build check valves to your specific requirements for horizontal or vertical installations in liquid, gas, or steam applications. 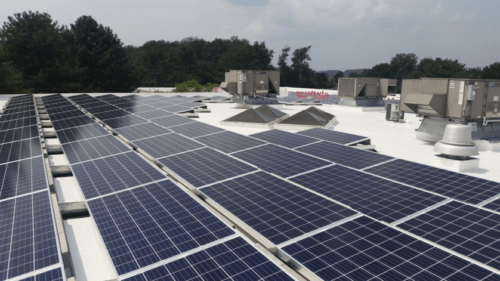 Even low-flow applications can be custom sized. 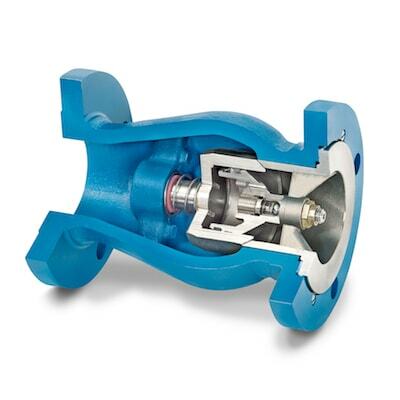 Proper check valve sizing will optimize a system’s reliability, providing efficient service with maximum protection. WATER HAMMER is the generation and effect of high-pressure shock waves (transients) in relatively incompressible fluids. Put simply, it is caused by the shock waves that are generated when a liquid is stopped abruptly in a pipe by an object, such as a valve disc. 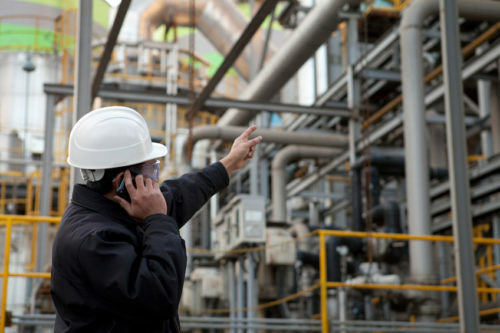 Common symptoms include noise, vibration, and hammering pipe sounds; these effects can then result in flange breakage, equipment damage, ruptured piping, and pipe support damage. 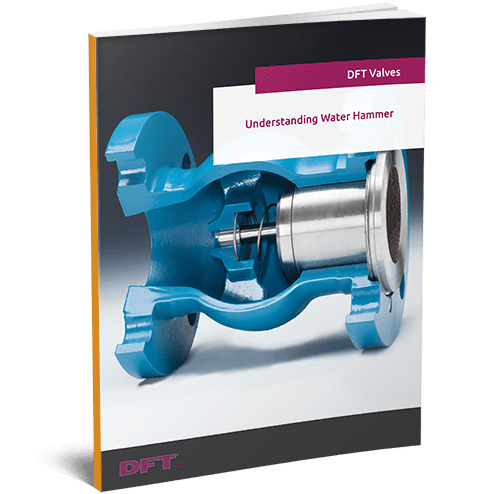 Whenever incompressible fluids exist in a piping system, the potential for water hammer exists. The risk of water hammer is particularly high when the velocity of the fluid is high, there is a large mass of fluid moving, and/or there are large elevation changes within the piping systems. Since a swing check valve relies on gravity and/or fluid flow to help it close, flow reversal must occur before closure can begin. When the swing check finally does close, it abruptly stops the flow and causes a pressure surge, resulting in shock waves. These shock waves continue until the energy generated from this sudden action dissipates. The figure below displays typical pressure curves after closure of a check valve. These high-pressure waves act against the piping and the valve, exerting very strong forces. This results in severe stress on the metal and vibrations within the system. If the system is not designed to withstand these high transient forces, the pipe can rupture and other components in the system, such as pumps and valves, may become be damaged. 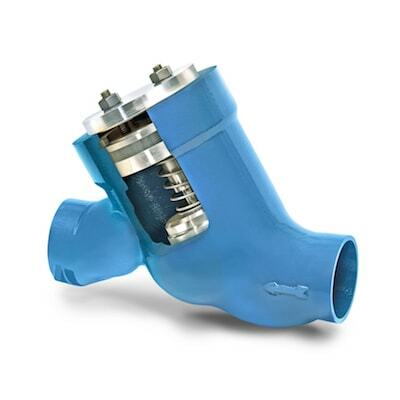 These problems can be eliminated or greatly minimized by installing a spring-assisted silent check valve. 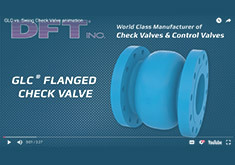 Silent check valves do not rely on gravity or fluid flow for their closure. Instead, as the forward velocity of the fluid slows, the spring assist on the valve starts to close the disc. Due to the spring assist and the relatively short distance the disc must travel, by the time the forward velocity has decreased to zero, the valve disc has reached the seat, and the valve is closed. With reverse flow eliminated, the forces necessary to produce water hammer on both the upstream and downstream sides of the valves are substantially reduced, as shown on the right side of the figure above.